Being around the Capitol for a combined 50 years the authors of this site have heard more rumors than you can shake a stick at. You know the saying, “if we only had a nickel for every rumor we have heard in the Capitol we would be millionaires.” We have heard them all ranging from the legislative schedules to motives behind certain legislation. Well, it would be improper to dedicate a site to the Capitol without listing some of the rumors about the building itself. The rumors below are not in any particular order and if you have any stories to add, please let us know. The one thing to keep in mind about the Statehouse is that nothing is as it seems. Rumor 1: The Basement was used as stables. There is no documentation indicating that the Basement of the Capitol was ever used as a stable. Photographs of the building under construction show horses in front of the exterior first floor arches. Since these arches resemble the arches located in the Basement, this may be where the rumor started. According to Mark Sorensen, Assistant Director of the Illinois State Archives, the Basement arches are not suitable for horses and would cause them to bend unnaturally. When we first met with Mr. Sorensen at the Illinois State Archives we discussed common myths we had heard about the Capitol. This is an old one. 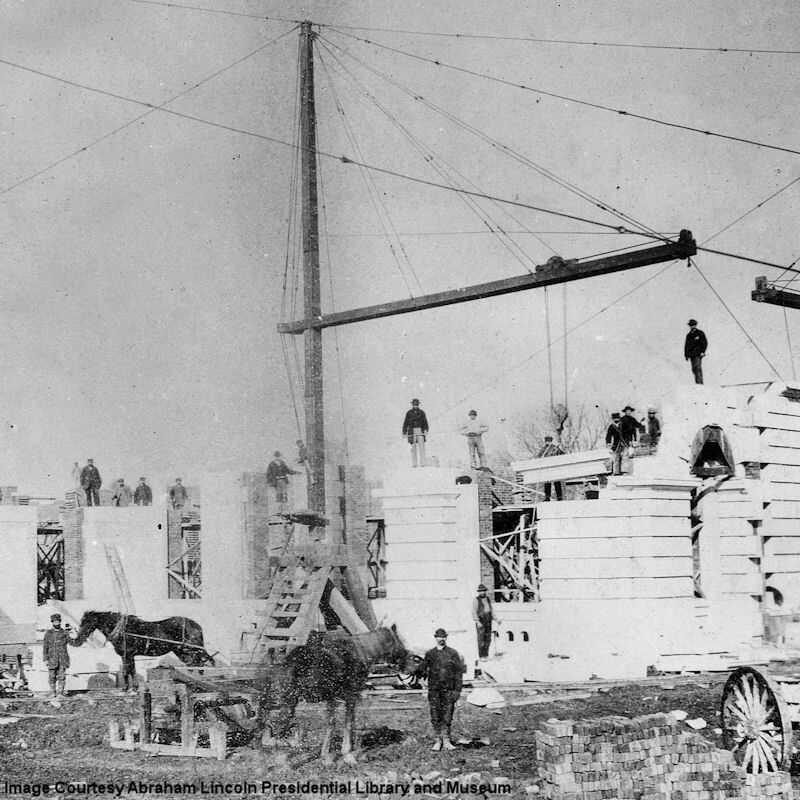 Many people believed that a ramp was constructed over the course of several city blocks to deliver construction materials to the Statehouse as it rose skyward. Helping to debunk this story, cranes are visible in several construction photos. Rumor 3: The House and Senate Chambers were recently restored to their original state. Although a recent addition, this rumor is partially true. 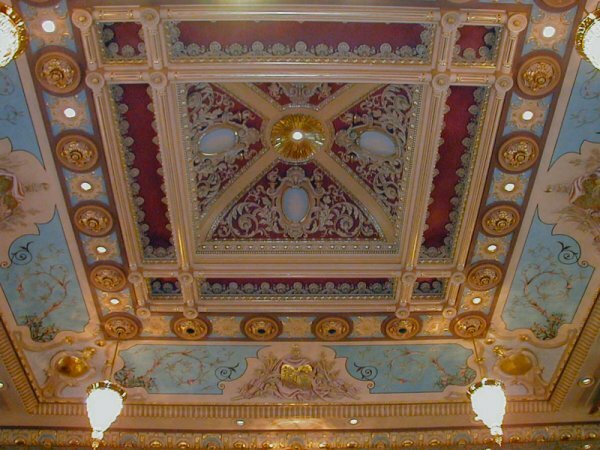 The ceilings and paint in the Senate and House chambers have been restored to times past, although not entirely as they originally appeared. 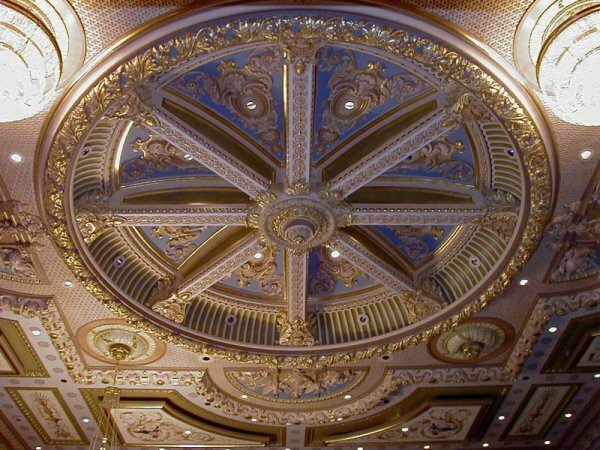 The center of the ceiling in each chamber was once stained glass, illuminated by skylights. 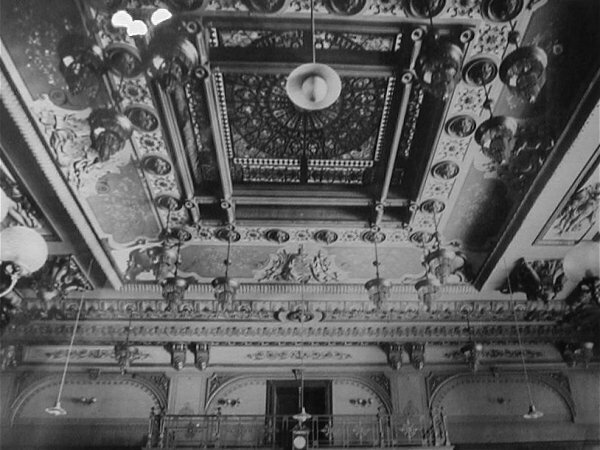 Photographs as late as the early 1900s show the skylights that once provided light for these ceilings. Further, in our research we have seen many renditions of the desks that have been in the chambers as well as different items located at the podiums. There are photographs showing the Speaker’s podium draped by US flags. We have even seen what appears to be the same famous painting of George Washington located behind the Speaker’s chair and then in a different year behind the Senate President’s chair. Even though the chambers are most likely not precisely way they originally appeared, they are absolutely beautiful and we applaud their restoration by the Clerk of the House and the Secretary of the Senate. 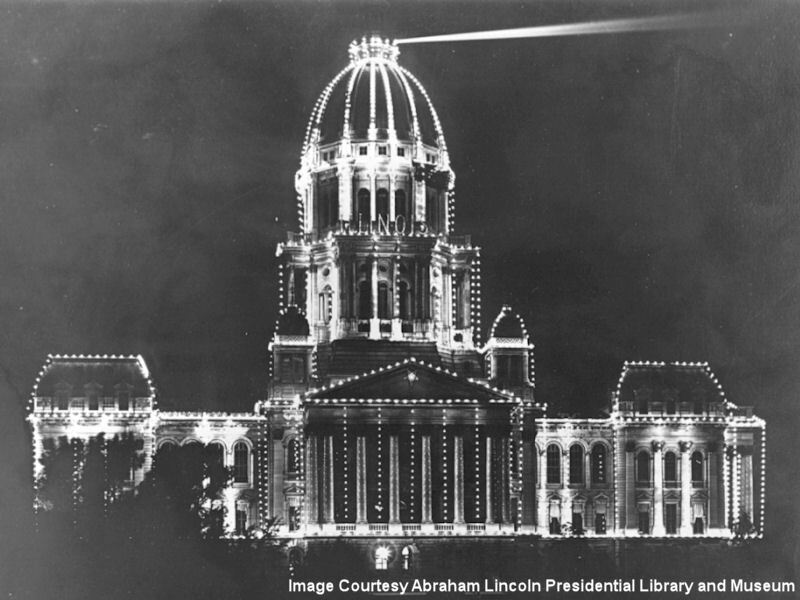 A 1907 photo of the Statehouse decorated for the State Fair ..... with the beacon activated? This is a rumor that we have heard before and was brought to us by Mike Nolan. Mike’s father, John H. Nolan, was a Springfield Police Officer from 1940-1969. According to Officer Nolan, before police officers of Springfield communicated by radio, upon receiving a call the Police Station would turn a beacon located atop the Statehouse on and off. Any Springfield Officer seeing the light flash would then call in to the police station from a call box to see if they could be of service. Further, according to Mr. Nolan, he recalls discussing with his father that Officer Nolan actually saw the switch in the recently demolished police station located at Jefferson Street. More information about this subject comes to us from Milo Estill, whose father, Primm, was a Springfield policeman in the 1930's. In those days the squad car did not have a heater. During periods of extremely frigid weather, to escape the cold for a while, the officers would keep an eye on the dome from the relative warmth of the service bay of a filling station located on Peoria Road. The owner, Ken Pflugg, provided the men with a key to his business and they would back the car onto the grease rack, which offered an unobstructed view of the Capitol.